On Wednesday, January 30th the Columbus Medical Association hosted an open house for State Representative Dr. Beth Liston. 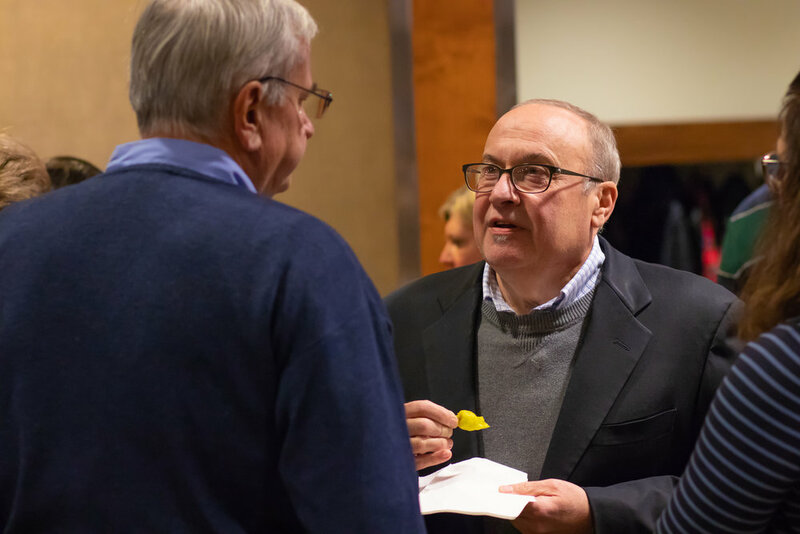 Here physicians, legislators, and medical students gathered to discuss current issues and to celebrate Dr. Liston’s recently-won position in the State House of Representatives. "Many doctors complain about many things, but I admire Dr. Liston's willingness to actually do something to try to improve things. She has more courage than most. I'm looking forward to continuing my work with Dr. Liston on all fronts - CMA, legislative and OSUCOM." Physicians have commended Dr. Liston for her platform of medically-influenced policy stances. She is the first CMA physician to hold a position in the Ohio State House of Representatives, and she currently holds the office of CMA President-Elect as well. For more information about getting involved with health advocacy and public policy through the Columbus Medical Association, click here. The CMA Public Policy Committee’s next meeting will take place on February 21st from 6:00-7:00 p.m. Any interested physician is welcome to attend.